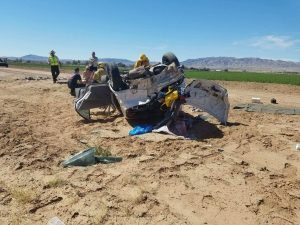 MOHAVE VALLEY—A head on collision Monday morning sent one driver to the hospital and the other to jail. 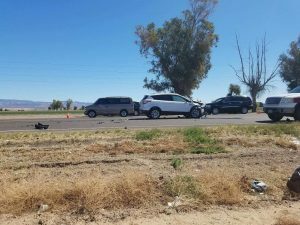 Arizona Department it Public Safety spokesman Bart Graves said the accident happened northbound State Route 95 and Courtwright shortly before noon and involved two vehicles. One of the vehicles rolled and trapped the driver. They were subsequently extricated by fire personnel. 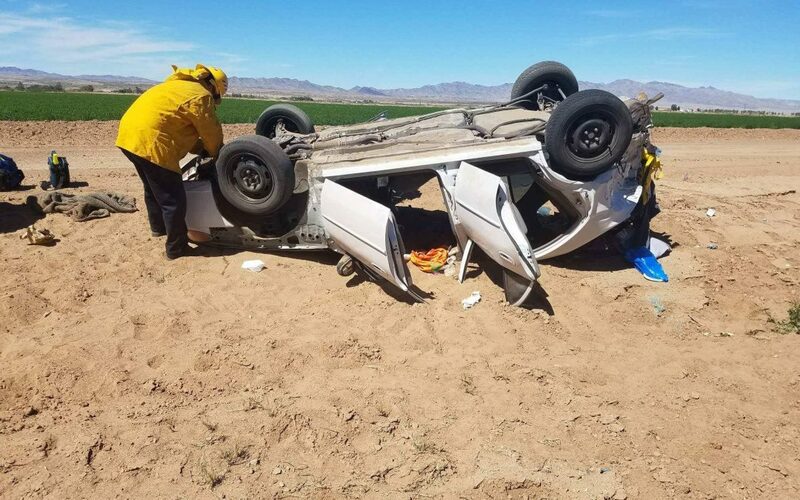 A witness to the accident told The Bee the driver of the white passenger vehicle that rolled was reportedly driving fast and overcorrected at one point sending it into oncoming traffic where it collided with an SUV. Graves said the driver of the rolled vehicle was arrested and impairment is suspected in the crash. The driver of the SUV was taken to a local hospital where they were treated and released.